In the first of two Soyuz-2 launches scheduled for Tuesday, a Soyuz-2-1b flying out of the Baikonur Cosmodrome successfully orbited the first Resurs-P Earth imaging satellite. 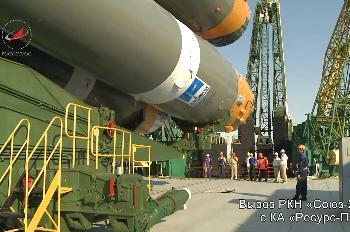 Liftoff from the Site 31/6 launch complex was on schedule at 17:28 UTC. The Resurs-P satellites are the latest in a series of Russian Earth imaging satellites. The first Resurs satellites, the Resurs-F1 series, began launching in 1979. A total of fifty five Resurs-F1 satellites were launched, across four variants. Resurs-F1 was a derivative of the Zenit reconnaissance satellite, itself based on the Vostok spacecraft which carried the first cosmonauts into orbit in the early 1960s. The Resurs-F1 series were launched by Soyuz-U carrier rockets flying from the Plesetsk Cosmodrome. Like the manned Vostok spacecraft, a Resurs-F1 spacecraft consisted of an equipment module, containing the propulsion system, and a spherical capsule which returned to Earth and was recovered, containing the cameras and film to be developed. The last F1 spacecraft, a Resurs-F1M, flew in September 1999. An enhanced spacecraft, the Resurs-F2, was introduced in 1987. Like the F1, it was derived from the Zenit spacecraft. Unlike the previous satellites, which were battery-powered, the F2 carried solar panels, allowing it to operate for longer periods of time. 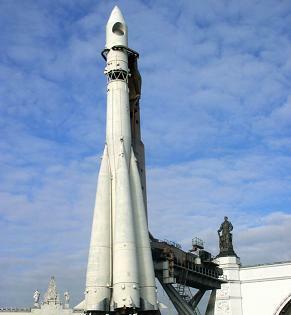 Ten were launched, the last in 1995, also using Soyuz-U rockets from Plesetsk. Alongside the film-return satellites, electro-optical spacecraft were developed. 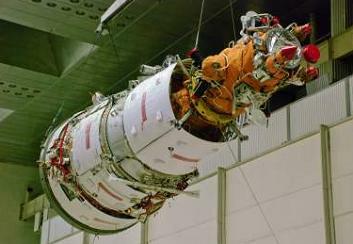 Kosmos 1484, launched in July 1983, was a one-off Resurs-OE satellite, a prototype which led to the Resurs-O1 satellites. Based on the Soviet Union’s Meteor weather satellites, the OE and O1 satellites were solar-powered, and able to transmit images to Earth without the need to return a capsule containing film. This allowed them to operate for longer, and gave their operators quicker access to the images produced. Only four Resurs-O1 spacecraft were launched, in 1985, 1988, 1994 and 1998. The prototype and first two operational satellites were launched on Vostok-2M rockets from Baikonur, with the last two spacecraft being launched by the larger Zenit-2, following the Vostok’s retirement. A replacement, the Resurs-O2, which would have combined optical and radar imaging payloads, was to have begun launching in 2000, however it was cancelled due to budget restrictions. The Resurs programme has included a small number of radar imaging satellites, although none of the three launched completed its full 30-month mission. Resurs-R, also known as Almaz-T, was an 18.6-tonne spacecraft derived from the Almaz, or OPS, spacecraft originally designed to serve as manned military space stations – the Salyut 2, 3 and 5 stations were OPS spacecraft. 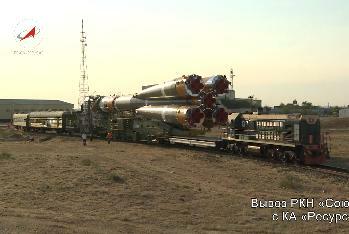 Due to their size, Resurs-R had to be launched by Proton-K rockets, and all three flew from Site 200/40 at Baikonur. 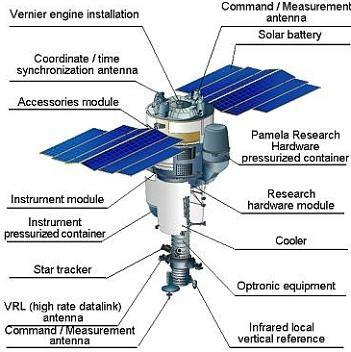 The first Resurs-R satellite was launched in 1986, however it failed to achieve orbit. It had originally been scheduled for launch in 1981, and had come within three days of launch before the programme was suspended, and the spacecraft placed into storage. The next launch, in July 1987, was successful, and the spacecraft, Kosmos 1870, conducted a successful test of its synthetic aperture radar payload, remaining operational for a few days over two years before it was deorbited, six months earlier than had been planned. The third spacecraft, named Almaz 1, was launched in March 1991, and was deorbited in October 1992 after running low on propellant, around a year before the end of its intended mission duration. A follow-up Almaz-1V spacecraft, with a higher-resolution radar imaging payload, and optical cameras, was scheduled to launch in the 1990s, however it was cancelled when its manufacturer sought to reduce costs. Following the last Resurs-F1M launch, no more missions flew for over six years, before Resurs-DK No.1 was launched in June 2006. Flying on a Soyuz-U from Site 1/5 at Baikonur, the Resurs-DK spacecraft was a derivative of the Yantar reconnaissance satellites, however unlike the current military Yantar spacecraft, the Kobal’t-M, the Resurs-DK was an electro-optical satellite, not relying on film capsules to return images. Despite reports that its communications antennae had failed to deploy, or that the satellite had failed to contact ground controllers following launch, Resurs-DK No.1 entered service successfully, returning its first images a week after launch, and was operational in September 2006. In November 2010 the spacecraft, which had been designed to operate for three years, suffered a thermal control failure and was reported to have stopped returning data, however Roskosmos denied that it had failed, and it has since returned to operations. Only one Resurs-DK satellite was launched. 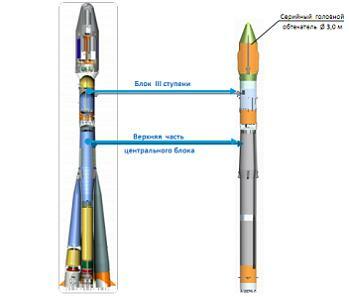 Resurs-P, or Resurs Prospective, is derived from the Resurs-DK, and was constructed by TsSKB Progress, the same company which manufactures the Soyuz-2 rocket. The first Resurs-P launch was originally planned for December 2010, but has been delayed several times. Resurs-P No.1 is the first Russian satellite to be equipped with a hyperspectral imaging payload. The satellite is equipped with three imaging payloads; in addition to the hyperspectral imager, it carries a wide-angle payload, and a high-resolution camera. Images produced by the spacecraft will be used by Russia’s Ministries of Agriculture and Fishing, Meteorology, Transportation, Emergencies, Natural Resources and Defence. A Soyuz-2-1b rocket was used to launch Resurs-P No.1. This was the twenty-seventh launch of a Soyuz-2 rocket, including the Soyuz-ST variant flown from French Guiana, and the twelfth Soyuz-2-1b or STB. The Soyuz-2 is a more complete modernisation, and will eventually replace the Soyuz-U and FG, which in recent years have rarely been used to launch anything other than Progress or Soyuz spacecraft respectively – the launch of EgyptSat-2 later this year is expected to be the final Soyuz-U launch not in support of the International Space Station, before the Soyuz-2 is introduced for Progress launches from late next year. For the 2-1v, the first stage (the 2-1b’s second stage) is powered by an NK-33 engine with an RD-0110R vernier. The 2-1v’s debut is currently scheduled for September. Exclusive documentation on this vehicle was acquired by L2 (LINK). The first and second stage engines ignite together, about 17 seconds ahead of launch, building up to full thrust before the four swing-arms holding the rocket down are released. Following liftoff, the rocket flew for approximately 118 seconds before the first stage separates; the four strap-ons falling away from the rocket and back towards Earth, forming a pattern known as the Korolev Cross after Sergei Korolev, the designer of the R-7. The second stage continued to burn for another 170 seconds, before separating from the third stage. The third stage, or Blok-I, provided the final thrust to place the Resurs-P satellite into its initial orbit, burning for somewhere in the region of four minutes. 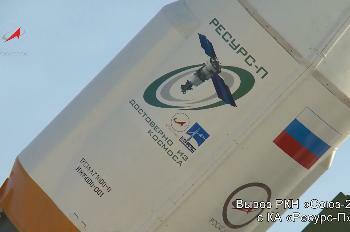 Resurs-P No.1 was launched from Site 31/6 at the Baikonur Cosmodrome. One of seven R-7 launch pads to be built, two of which are at Baikonur, it is one of four currently in use – the others being ELS, the Soyuz pad at the Centre Spatial Guyanais; Site 1/5 at Baikonur; and Site 43/4 at Plesetsk. Sites 16/2 and 43/3 at Plesetsk are not currently in use as they are not compatible with the Soyuz-2, and Soyuz-U launches from Plesetsk have now ended. The pads are expected to be converted for the Soyuz-2 in the near future. Site 41/1 has not been used for a launch in over 20 years, and has since been demolished. This was the eighth Soyuz launch of 2013, and will be closely followed by the ninth – a Soyuz-STB/Fregat-MT mission carrying the first four communications satellites for O3b – which is scheduled to occur at 18:54, before Resurs-P No.1 has even completed a single orbit.